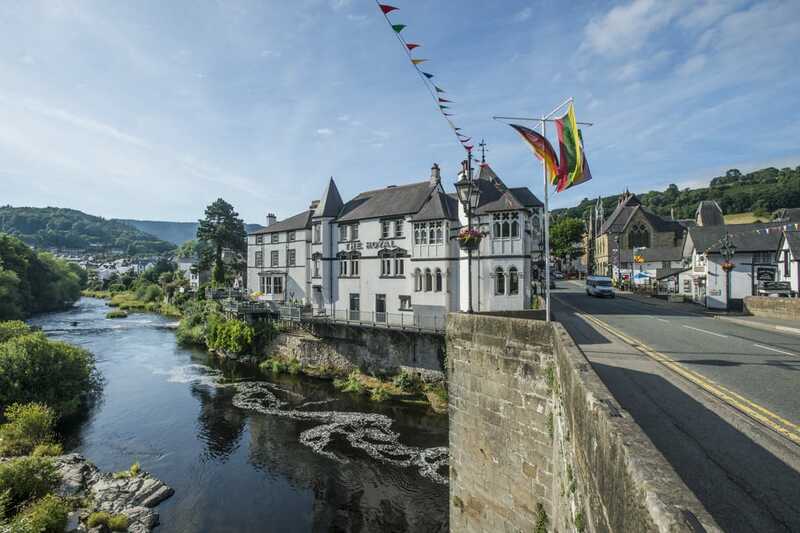 The Royal Hotel sits majestically on the banks of the River Dee in the heart of Llangollen town centre, and is one of the landmarks that has come to define this stunning Welsh town. With its central location and breathtaking setting between the Welsh mountains, The Royal Hotel sits in a stunning location unspoiled by time. Centrally located, the hotel is ideal for touring the town and there is plenty to do and see. The steam railway attraction is just a 2-minute walk from the Hotel across the impressive 14th century bridge. Within equal distance is the Llangollen Canal, where you can take a horse-drawn boat trip or motorised ride across the aqueduct. Famous former guests at the Royal Hotel include the young Queen Victoria and her mother, the Duchess of Kent.